One of my favorite things about being a reader is having a physical reaction to a book. Whether it’s tears or goosebumps or laughter, or in the case of Joshua Henkin’s The World Without You an audible gasp, reacting that strongly to written words is the best thing ever. It’s even more delightful, because I didn’t expect to be moved by Henkin’s novel that way. It’s not that the book isn’t good and engaging, it is, it just didn’t strike me as a gasper. But there I was in the final third of the book gasping. 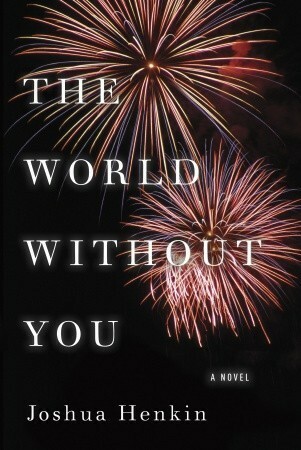 The World Without You takes place over the 4th of July holiday 2005 when the remaining Frankels gather at the family’s vacation home to memorialize Leo, the youngest who was killed in a Daniel Pearl-type situation over in Iraq. Marilyn and David, the nearly seventy-year-old parents, plan to spring the news of their impending separation on Leo’s older sisters after the memorial. This is the last thing Leo’s sisters need, because aside from still mourning the loss of their little brother, they’ve got their own issues. 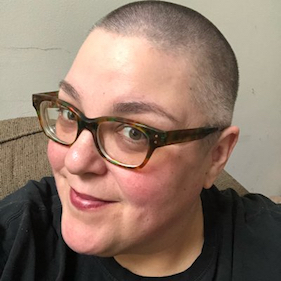 Clarissa, eldest Frankel sibling, is struggling with reproductive issues and her certified-genius hubby isn’t so sure it’s worth the hassle. Lily, second sister, is very very angry. And Noelle, hoo boy, Noelle. She is my favorite. Noelle is a former sexually-loose wild child who, while travelling through Europe, decides to become an Orthodox Jew. She, her brood of young sons, and her slimey husband journey from Israel to the Berkshires for the memorial. Noelle’s resentment over childhood slights and her contrary nature provide some of the books best scenes. Also, I can’t forget Thisbe, Leo’s widow, who brings their toddler song to the memorial and has her own bombshell to drop on the family. This is one of those books that’s quiet and mighty. A grieving family full of the kind of dysfunction inherent in all families, spends a rainy holiday weekend trapped in their summer home full of memories of their dead son/brother/husband. It’s a stew of tension just waiting to explode all Fourth of July Firework style. The fireworks don’t go off quite the way you expect, but they are beautiful and breathtaking just the same.